Microsoft is giving a little nod to the Xbox One X working name “Project Scorpio” with a limited edition preorder. With a release date of 11/7/17 you’ll have to wait a while to get your console but if you have to be one of the first to try the best, this preorder is a chance to grab one before the christmas hype takes off. 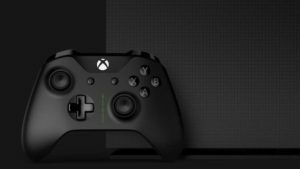 The Project Scorpio version of the Xbox One includes an exclusive controller and console.